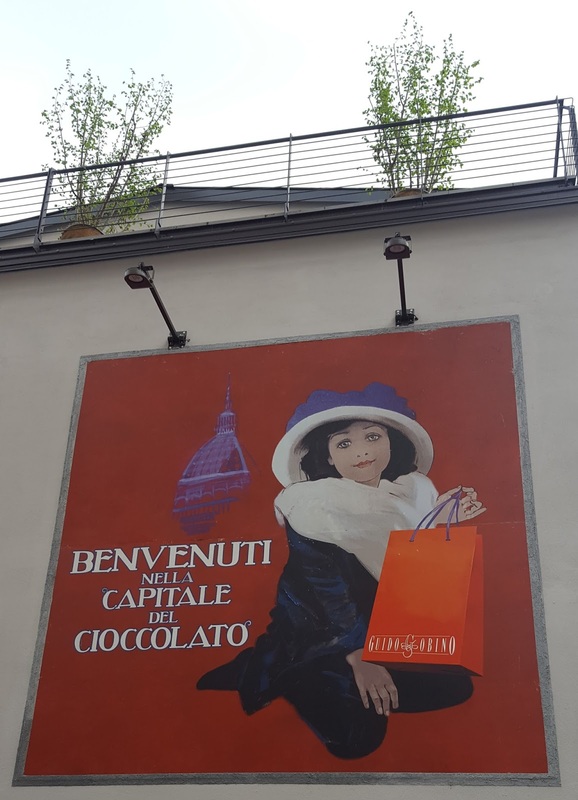 For all foodies and especially chocolate lovers, Turin is the best place on earth because the chocolate factory is open for visits and tastings! However, be warned!! This is a real working factory and therefore it is closed to the visitors during the high chocolate seasons like Easter and the pre-Christmas time; naturally, as the Gobino chocolate is natural and it gets spoiled by the hot weather, only some ingredients are produced and worked in the summer. We took advantage of a friend's visit and after begging Signor Gobino, he kindly accepted to let us do a short visit due to the super busy Easter season. 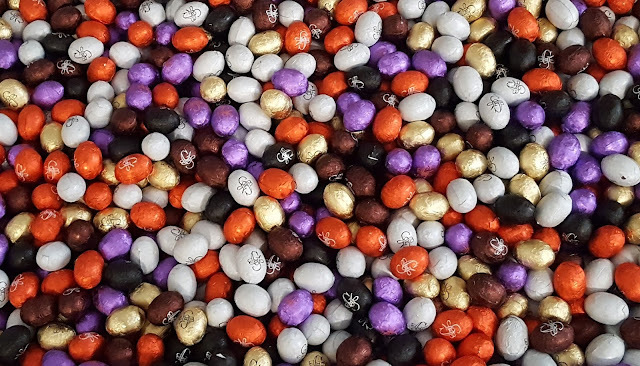 Consider that the chocolate factory produces up to 12,000 chocolate Easter eggs - yes the large Italian Easter chocolate eggs, of many shapes and chocolates and each and everyone with a surprise! ... all 12k in Via Cagliari 15/b in Turin!! Mr Gobino put us in the lovely care of Loredana Ligori, one of his honorary Oompa Loompa to who we owe many thanks for all the fun we had!! Thank you, Loredana!! 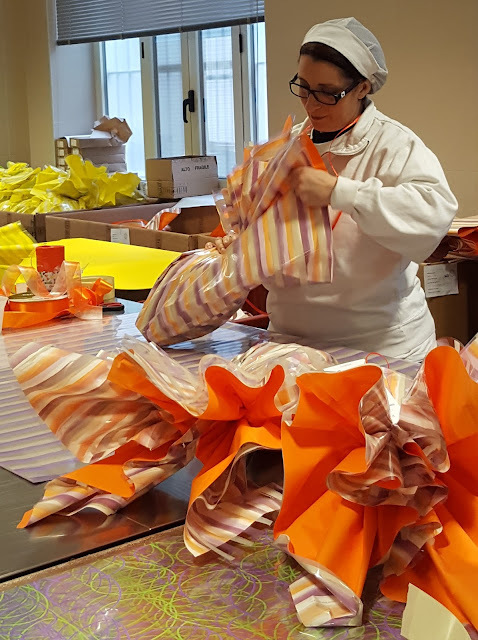 Because chocolate making is a very serious and delicate business, we covered our clothes, shoes and hair before starting our tour of the factory Loredana showed us all the production phases from the cocoa bean cleaning to the gianduiotti wrapping. 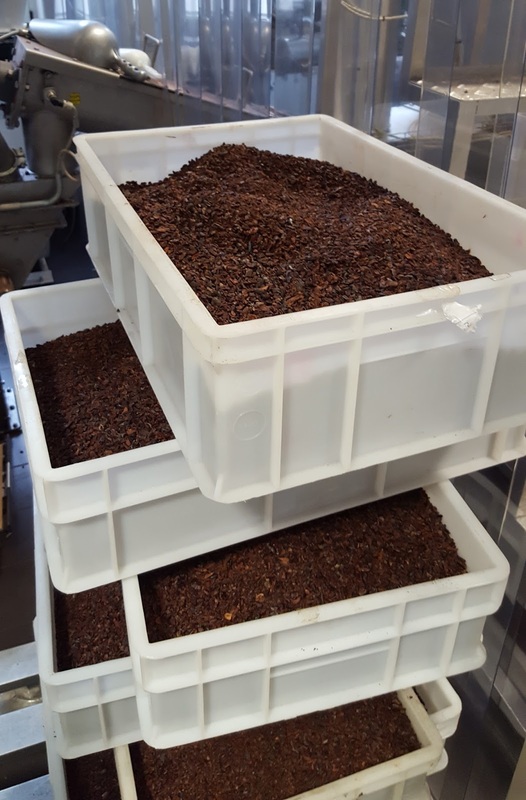 With energy saving and ecological machinery, the cocoa beans get cleaned, toasted and chopped; their wastes become fertilizer. 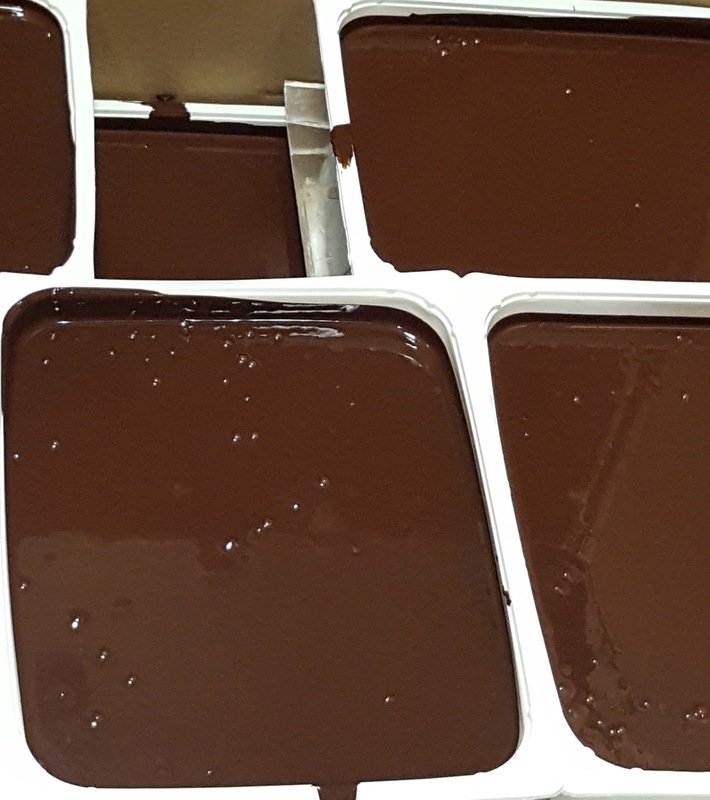 The finely chopped cocoa beans become a smooth cream at very high temperature. Unfortunately, this is still quite rough and bitter. Here though, we saw the hazelnut oil press, because the Gobino chocolate only contains natural hazelnut oil. 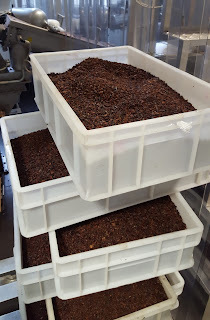 This is a very healthy and expansive oil used to make the Gobino chocolate spreads and the cremino chocolates, one Turin's staple chocolates. As we were moving room, we peek through one where some Oompa Loompas were hand wrapping the large Easter chocolate eggs!! 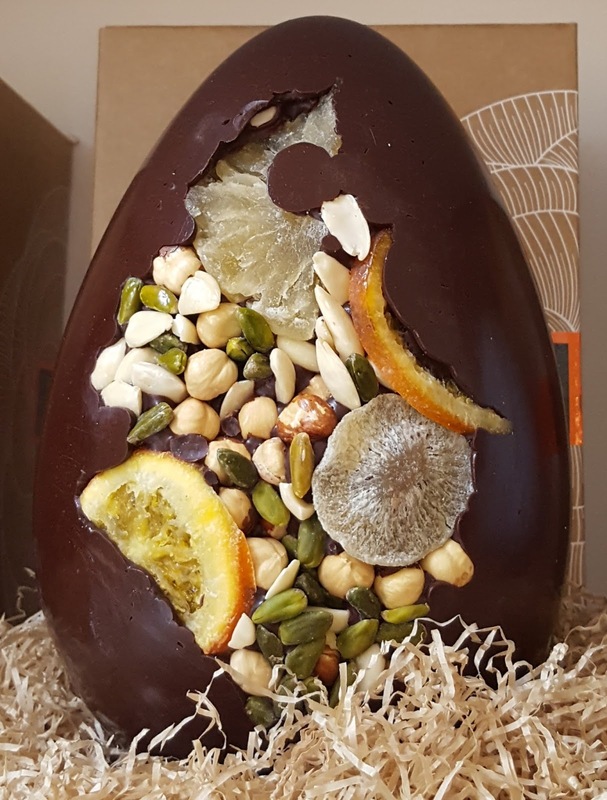 the choco egg wrapping is a super delicate and crafty task! 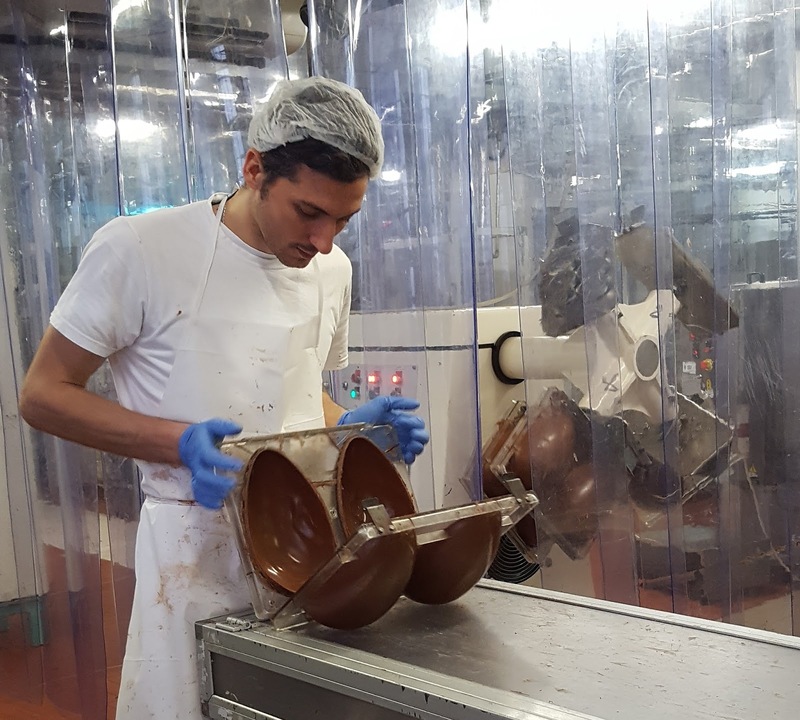 When the cocoa powder is ready, it gets mixed with cocoa butter to make gianduiotti - the upside down boat shaped chocolates born right off the Turin's chocolate masters' spatula in 1865. 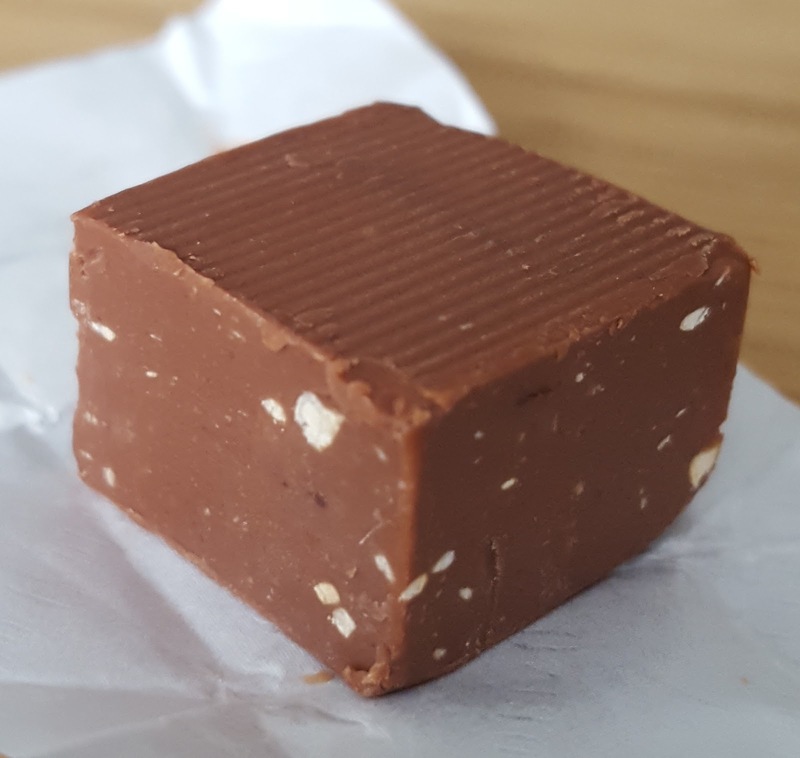 Gianduiotto was the very first wrapped chocolate. Gobino's Tourinot: a piece of heaven! At Gobino's the chocolate paste gets massaged for 14h to allow all the wonderful chocolatey scents to be released and to allow the bitter acid components to evaporate. 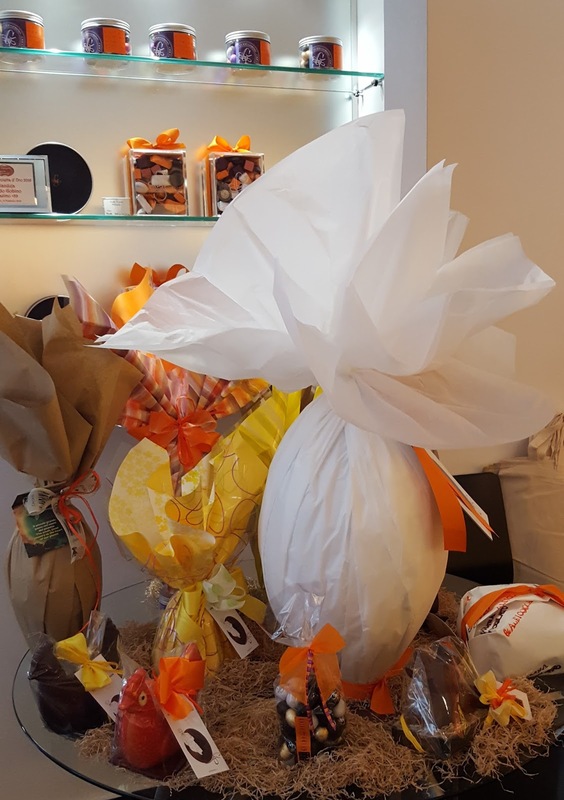 Today, the machines take care of all the extenuating mechanical part of the production, however, Signor Gobino hires Oompa Loompas to perform all the precision and delicate jobs like getting the chocolate eggs out of the mold, inserting the surprises, sealing and wrapping. Signor Gobino together with his highly skilled team of creative Oompa Loompas always come up with many new delicious products that you get to taste when you go on a tour of the chocolate factory or do a chocolate tasting at the chocolate boutique or bottega in Via Lagrange 1, in downtown Turin, right in front of the Egyptian Museum. 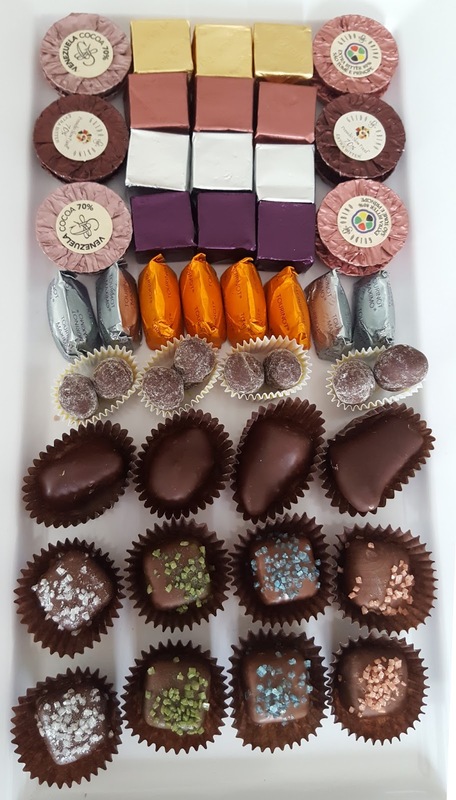 So after our tour, we did the chocolate tasting with a symphony of natural fruit jellies covered in chocolate, delish candied ginger covered in dark chocolate, coffee beans covered in chocolate, pure chocolate coins, the 4 stars: the cremini and the award-winner gianduiotti. We sipped an espresso to wash our mouth and better appreciate all the textures and flavors. The salt crystals you can see in the picture are whole sea salt tiny crystals! All Gobino chocolate but white is gluten free. All Gobino dark chocolate is vegan. 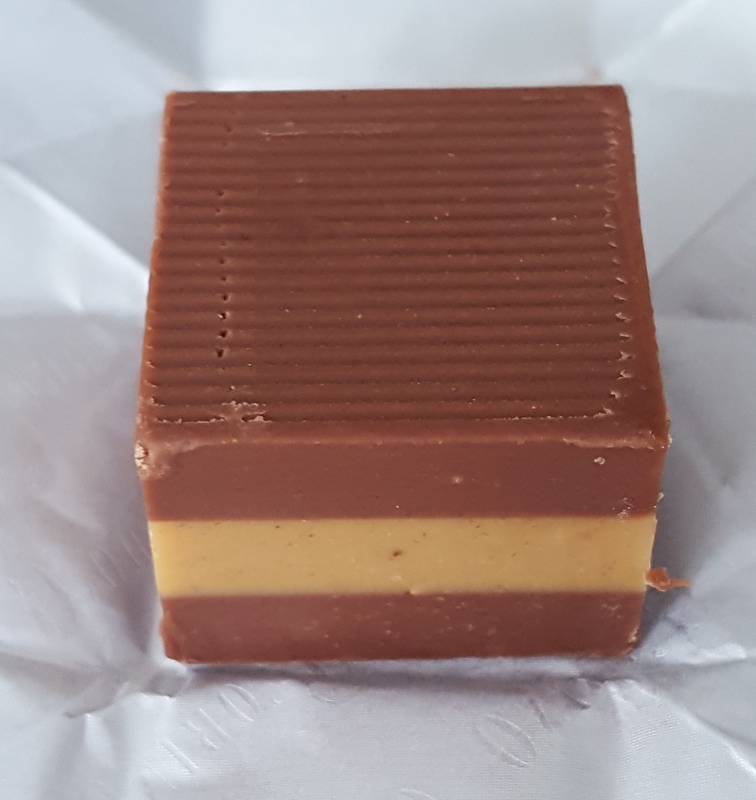 When you visit Turin you just can't miss out on chocolate and you should always enjoy it with some Turin and Piedmont drinks. Besides coffee and gelato, the Gobino chocolates go hand in hand with vermouth, bubbly wines, rum and liqueurs! In fact, Signor Gobino even makes a special praline Cocchi with the Cocchi vermouth! The salt cremino pairs perfectly with all bubbly wines. The 100% dark chocolate coins and the cocoa beans match raisinated wines (like Erbaluce passito), rum and liquors. As it is artisan and totally made with natural ingredients, the Gobino chocolate spread is like a vitamin: you'll feel happier and more productive. 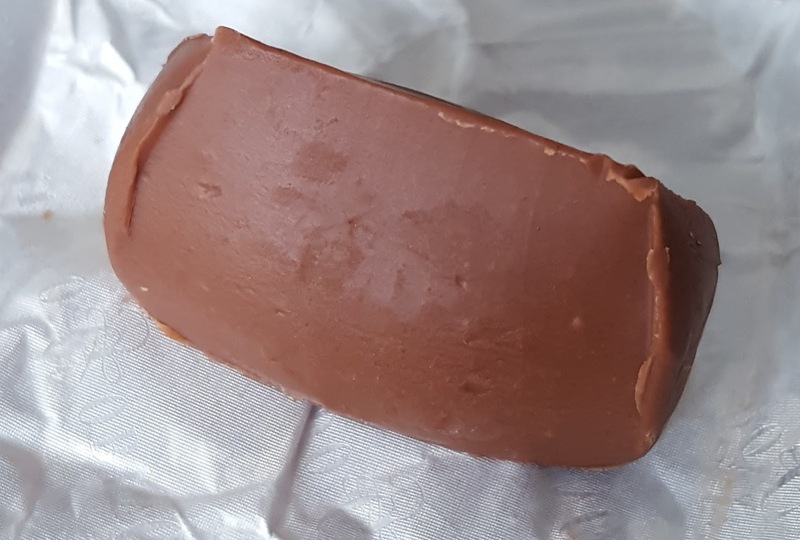 Naturally if you are on the go, you can substitute with a maximo +39 limited edition: a tiny luscious gianduiotto handmade with 29% of hazelnuts for good fatty acids! in both places you can do the chocolate tasting!! For a box for your flight home, be reassured, you'll be able to buy a dose at the Turin airport shop too! 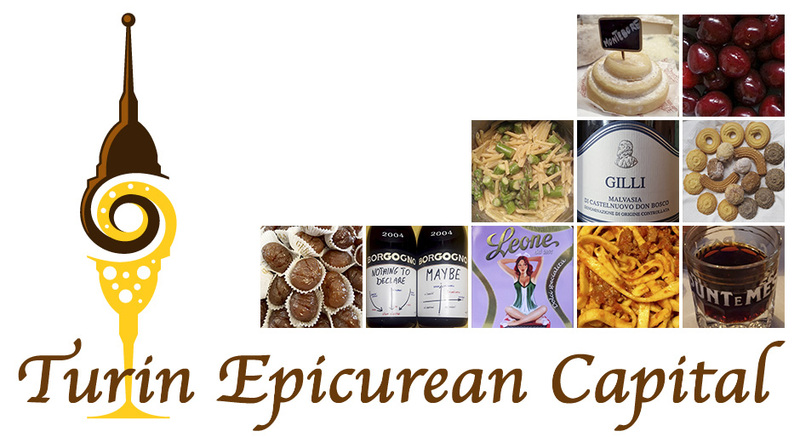 And don't despair because, many places around the world are now importing and selling the Gobino delicacies! 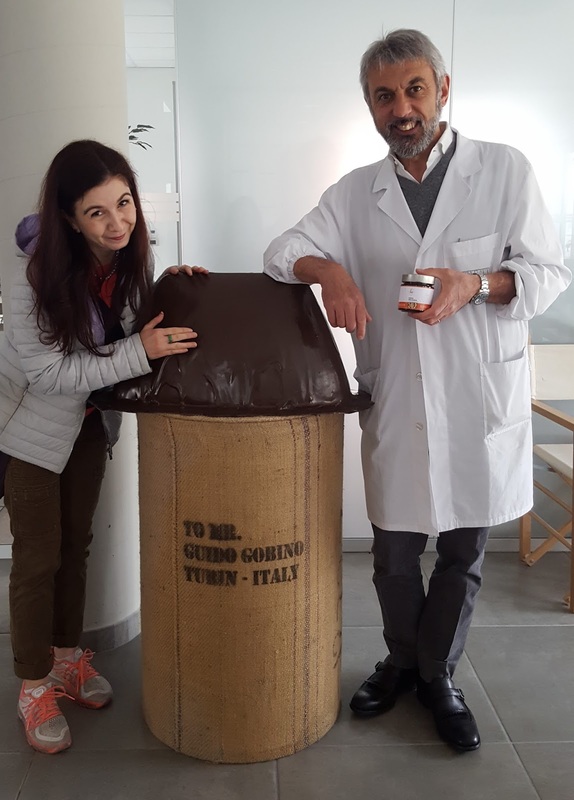 Special thanks to Signor Gobino who allowed us to his factory despite the heavy on going Easter productions and his precious time between important appointments, and to Loredana Ligori who delved us into the Gobino factory world!